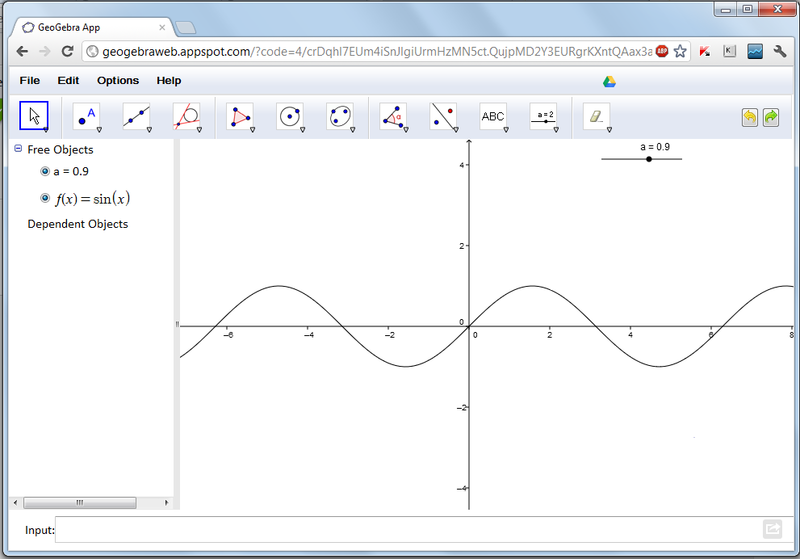 GeoGebra has recently released its Chrome App, an application that can be added as a Google Chrome extension. This means that you can open GeoGebra using the Google Chrome browser even if it is not installed in your computer. In addition, you can save your constructions in this app to Google Drive. To know more about the App, click here.